AHB expands the leading-edge of deep hole drilling, trepanning, honing, and machining services for the Aerospace Industry. We add value by taking material away, lots of material. If you need a hole, we can drill it. If you have a hole, we can make it bigger or deeper, straighter or rougher, smoother and more uniform. Our service levels range from rough bored holes, to holes bored and honed, to precision boring and turning of critical components machined complete and ready to assemble. We will provide your parts with less cost, less wait, and less trouble – making you more satisfied. 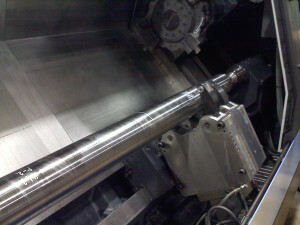 More than a job shop, more than a machine shop, AHB is your manufacturing solution.